I found out on Monday that I’m going away this weekend on family business, and unfortunately Baxter can’t come. With Jasmine’s House being full of puppies, I had to find a place for him to stay in only a little bit of time. I won’t trust just anyone with my precious Bax, and I knew exactly who to call. MCHS works closely with a daycare called Sniffers Doggie Depot and I knew they would take great care of Baxter. I called up the owner, who I work with for events like Howl-o-ween, and she said she could fit him in no problem. Phew! 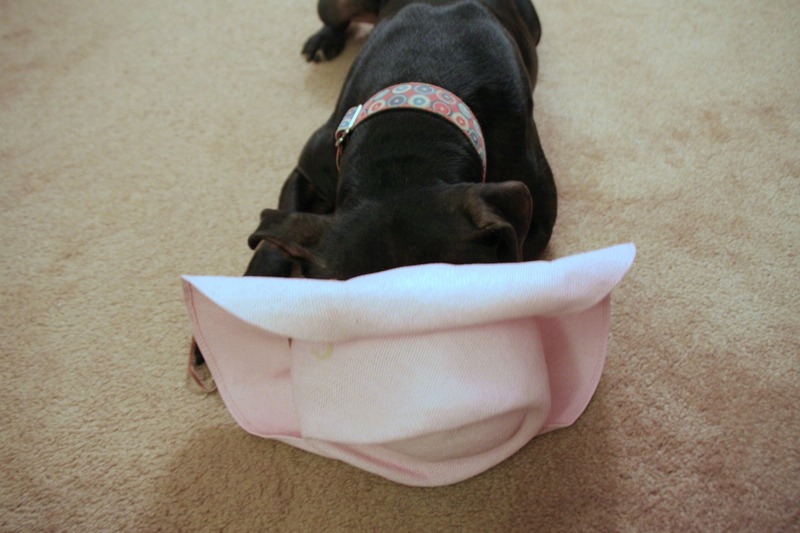 So Baxter is putting on his party hat and heading out to Sniffers for the long weekend. Just kidding, do you really think he would let himself be seen in a PINK cowboy hat? I’ll be missing this little man all weekend, but I’m so thankful that he’ll be in good hands. I’m not sure if I’ll be able to blog the beginning of next week, but you can be sure that I’ll update on how Baxter’s stay is going (or went) as soon as I can. 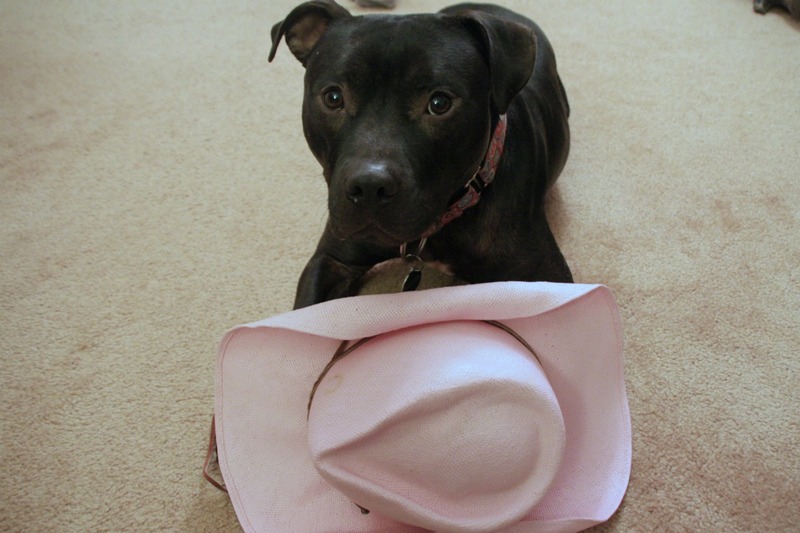 This entry was posted in Baxter, Dog talk, Rescue/Humane Society, Uncategorized and tagged Baxter, black dog, cowboy hat, doggy day care, for adoption, fostering, pit bull, Sniffers. Bookmark the permalink. Have a great weekend, Bax! 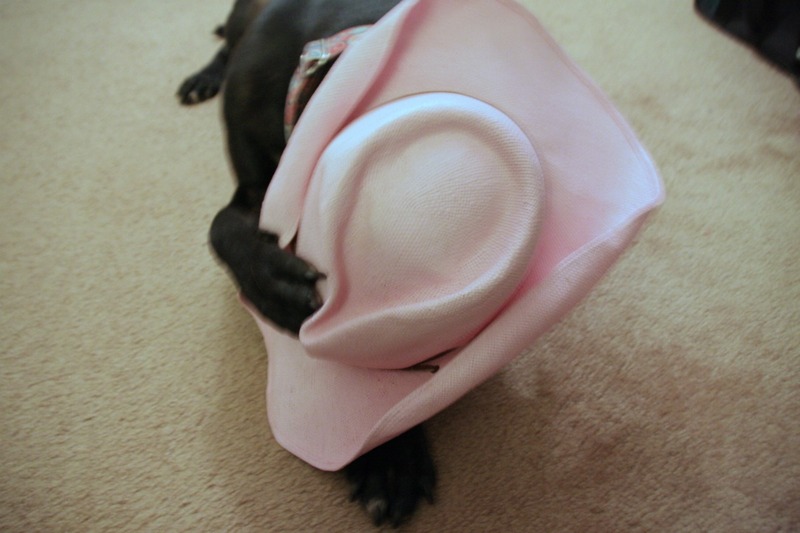 Bax, if anyone can pull off a pink cowboy hat, it would be YOU!! You look good in anything. 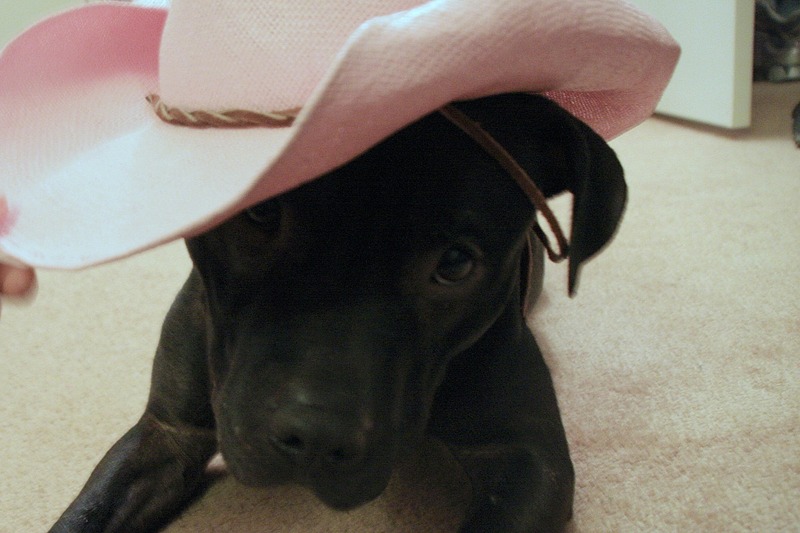 Gosh I love Bax in a pink cowboy hat, tough guys where pink didn’t you know! THE SECOND PIC IS THE CUTEST THING EVER!